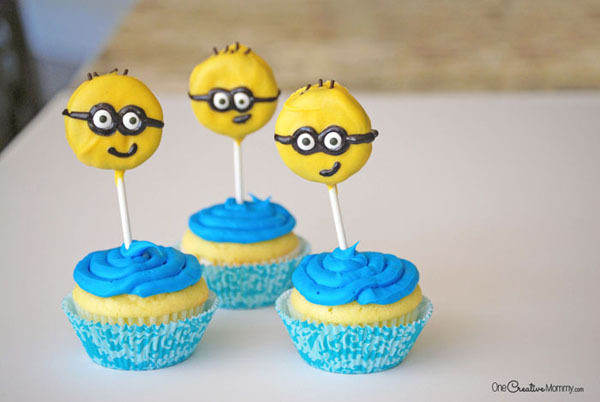 With the release of the Minions movie on DVD coming soon, I know lots of kids have Minions on the brain. 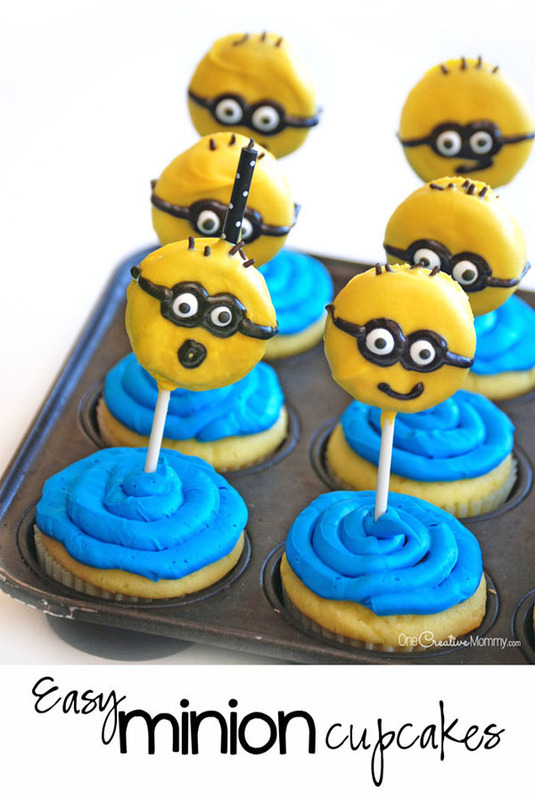 If you’re thinking of hosting a Minion birthday party, try these adorable Minion cupcakes with chocolate covered Oreos! I’ll admit it. I didn’t think I was going to like Despicable Me. I’m just not into rude cartoon characters. I was pleasantly surprised when those adorable little Minions stole my heart, and I’ve enjoyed all three movies. 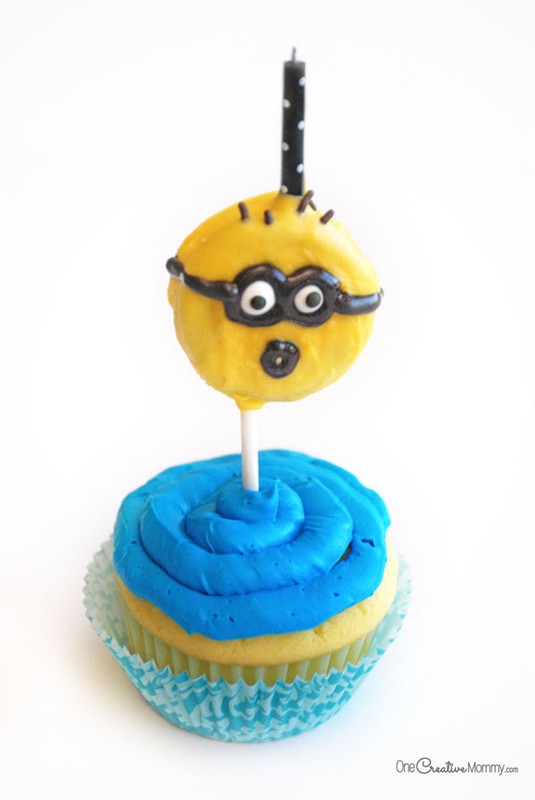 After seeing the most recent Minions movie, our next birthday party had to be Minion-themed! 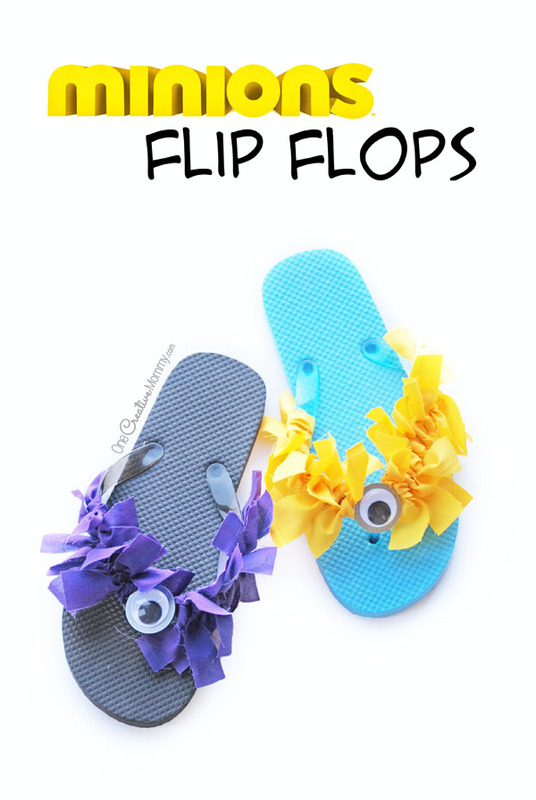 The kids at the party had a blast with our Minion water balloon fight, and they had a great time making Minion Flip Flops and Minion Bookmarks. When it came to the cake, I wasn’t quite skilled enough to make one of those gorgeous fondant-covered cakes I’ve seen online. (Have you seen the ones I mean? So cute, but so out of my league!) I stuck with something a little more simple — chocolate dipped Oreos and cupcakes. Ready to learn how to create this adorable dessert? Line a cookie sheet or the counter with waxed paper. Melt candy melts according to package instructions, and dip the Oreos. After dipping each cookie, place it on the waxed paper to cool, and immediately add the candy eyes and chocolate jimmies. If your house is warm, transfer the cookies to the fridge or freezer for a few minutes to cool. Once completely cool, carefully trim the access chocolate off the edges of the cookies with a pairing knife. Ice the cupcakes with blue frosting. VERY IMPORTANT! I learned this the hard way. The Minion pops are very top heavy. To avoid them tipping over, wait until just before serving to stick the Oreo pops into the cupcakes. That’s it. It’s a lot easier than it looks, right? If I can do it, so can you! If you want the birthday girl or boy to have a special Oreo pop with a candle on it’s head, here’s how to do it: When you add the lollipop stick, also add a narrow candle opposite the stick. If you can use double-stuffed Oreos–do! If you are using gluten free Oreos (Glutino), you’ll have to get a little creative. It’s tough to get a candle narrow enough to fit inside of a regular Oreo. I ended up spooning extra chocolate inside the Glutino Oreo to keep the cookie together. Since there is now something sticking out of both sides of the cookie, you’ll have to spoon the chocolate over the top instead of dipping the cookie into the chocolate. I gave the face a silly expression because I thought it would look cute when the candle was lit. Are you excited for Minions to come to DVD? My kids can’t wait! I wonder how many Minions will appear at my door on Halloween. I’m guessing I’ll see quite a few! Thanks for stopping by today. While you’re here, be sure to stick around and check out some of my other ideas. You can visit the posts below by clicking on the images. It’s my oldest’s birthday and she LOVES minions! Thanks! I’ll hold on to this idea! You’re welcome, Heather. I hope you have a great party. Thanks, Linda! The kids loved them. My kids are minion obsessed. They are going to love this idea. I love the way you did the cookies on top for the heads! Thanks, Camille. It was a lot easier than trying to decorate a full-sized cake! Oh my gosh these are too cute! 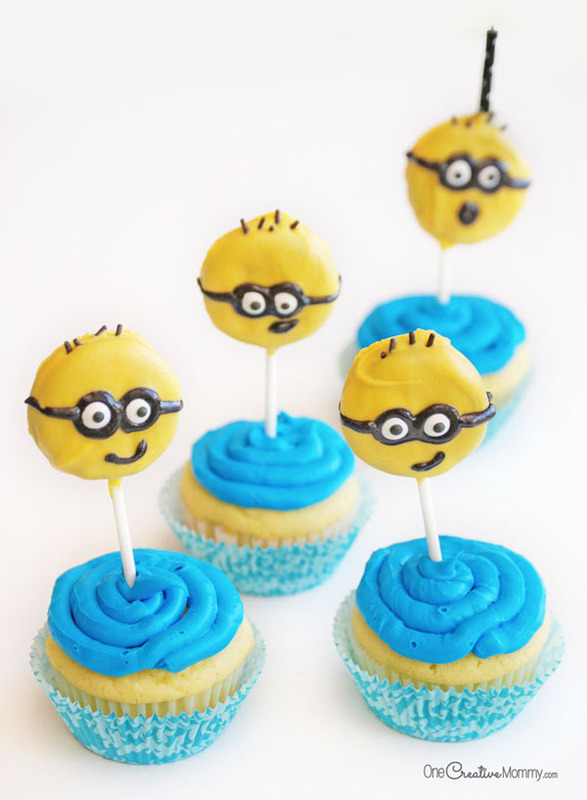 We have been watching Despicable Me on repeat lately and these would be the perfect treat for movie time! Thanks, Sydney! My girls are really excited for the next movie to come out on DVD. 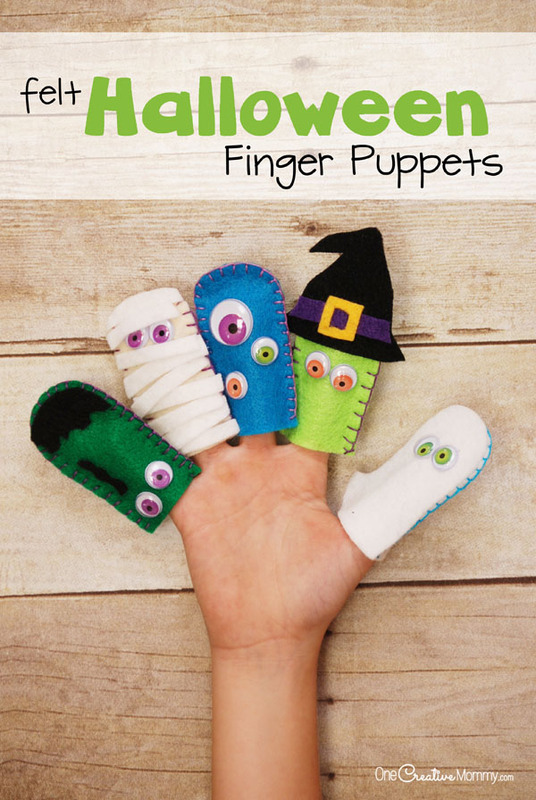 These are adorable, my kids would love these! Thanks, Emily. They were really fun at the party. 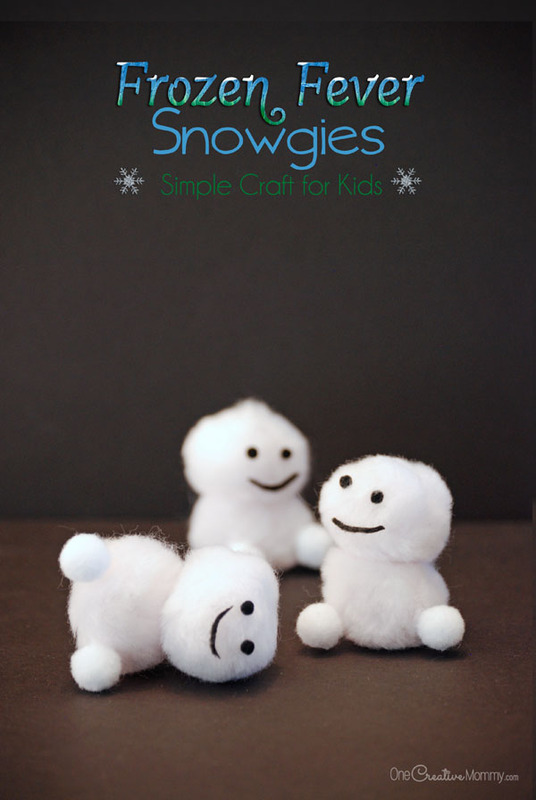 Wow how cute, my kids loved the idea.